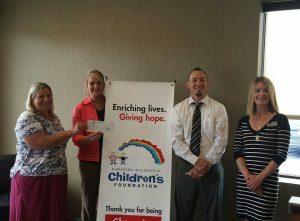 Local Credit Unions Support Summer Camp! Credit Unions really are helping here! In two days, we received two cheques of $1000.00 each. 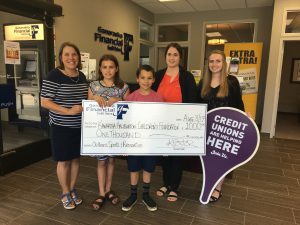 Thank you so much to Ganaraska Financial Credit Union and to Kawartha Credit Union for your fabulous support of our Summer Camp Program. The generous support of our local Credit Unions enables us to send 4 children who are receiving services from the Kawartha Haliburton Children’s Aid Society to a full week of day camp and 2 children to an overnight camp of their choice! On behalf of all of our young campers, we thank you, thank you, thank you. Previous Previous post: Send a Kid to Camp, AXE-Travaganza! !